Extended family photos in the Adelaide CBD works well for some families as they live in different directions across the city and need a central spot. These family photos were taken in Botanic Park on Plain Tree Drive in the city centre. Parking was easy for the family along the drive and they all met up right on time. All the families looked so well coordinated in their deep red, taupe and navy tones and it suited the Autumn colours around them so well. One little champ had a new striped jumper that he desperately wanted to wear. Bold prints and stripes can stand out a bit in family photos so his parents weren't keen on him wearing it for the main group of photos. I did take a photo or two with him in it just to start with so he didn't feel like his fashion sense wasn't totally ignored! After all the official photos it was time for the children to just have fun and enjoy themselves, this jumper came out again and was paraded in all its glory! These extended family photos were taken as a 70th birthday for Grandma. When the grandparents heard they were going to get all the family together for family photos there was tears of joy! Family means so much and capturing family moments as a group can be so valuable. 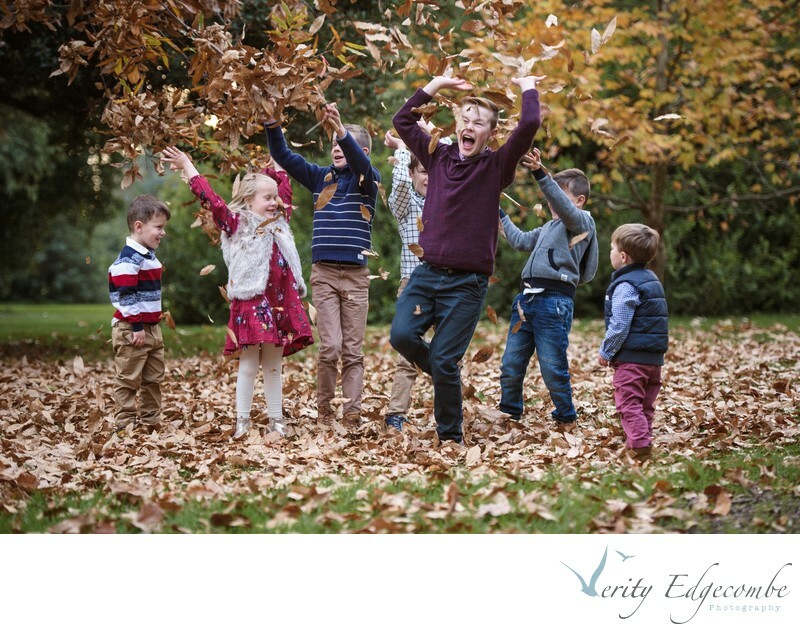 For more information on Verity Edgecombe Photography's extended family photos click here or book your session here. Location: Plain Tree Drive, Adelaide, South Australia.